Securities Americas Roger Verboon relates what he sees on the front lines of advisor M&A: emotional hurdles for sellers, financial for buyers. There’s a lot of talk in the industry about advisor succession, but not as much action. So what’s impeding advisor M&A? 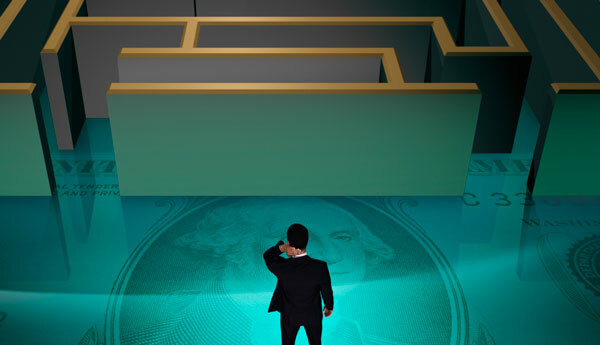 Supply-side constraints: Advisors are reluctant sellers, says Roger Verboon, Securities America’s director of practice continuity, succession and acquisition planning. “Everybody wants to acquire a business, but there’s absolutely resistance to selling their business,” Verboon told ThinkAdvisor in a phone interview. “It’s an easy job. It’s not intensive like digging ditches. There’s a nice recurring revenue stream and a lot of these guys have created great relationships with their clients. For advisors to think about retiring — it’s a very emotional thing. We help them get over the emotional hurdle,” he says. And critically, Securities America helps buyers get over the financial hurdle of acquiring another practice. The Nebraska-based broker-dealer, a wholly owned subsidiary of Ladenburg Thalmann Financial Services, announced Tuesday a partnership with an Omaha-based bank that should expand its capacity to finance acquisitions of advisor practices to about double the number of deals the firm shepherded to completion last year. Formalizing that financial capacity comes at a time of advisor M&A momentum. In 2012, Securities America helped 10 advisors buy the businesses of retiring advisors, a figure that rose to 14 last year. It’s only the first half of February, and Verboon already has five deals in the works. Verboon says practice acquisitions are just one path for advisors to expand their business—marketing and referrals are others—but the oft-discussed aging of advisors puts wind behind the sails of that trend. While stories of acquisitions gone awry are not unheard of in the industry, Verboon recalls just one botched practice acquisition out of 76 the firm has assisted with in the past five years. Needless to say, the developments were highly disconcerting to the retired advisor, who didn’t want to see his clients poorly looked after. Financially, he was protected, Verboon says. “The deal was part earn-out. It was structured in such a way so that there was a pretty large down payment and fixed promissory note, so there was no fluctuation. As for the successor advisor, he lost half of the assets of the practice he acquired as a result of his failure to call the clients. Verboon takes pains, to the extent he is able, to ensure that the deals he works on succeed by negotiating between the parties and structuring a viable acquisition. “What we really look to see is that there’s a good cultural fit between the successor and the retiring advisor. That fit I claim to be the most important piece in making it a success,” he says. “The second piece is the hard work,” he continues. “I tell people to block at least three months out of their life—‘Don’t take this lightly,’” he tells would-be acquirers. The results have been impressive. Verboon says seven out of 10 acquisitions have been profitable within 24 months and another two out of 10 shortly thereafter. “We’re very careful that advisors remain at least cash-flow neutral unless they have enough of a book themselves that they don’t need the revenues from the purchased firm,” the Securities America exec says. But while the firm wants to ease the financial burden, it nevertheless wants the acquiring advisor to put some of his own money into the purchase just as it wants the retiring advisor incented to foster client retention. “We want everyone to have skin in the game,” Verboon says. So in the case of an average selling price of $500,000, and an average down payment of 30%, or $150,000 — down payments range from 10% to 50%, Verboon says — the firm would typically see to a loan of about $110,000, thus requiring $40,000 on the buying advisor’s part. That said, just six advisors on average seek financing assistance, annually. But because the firm puts so much emphasis on the cultural fit — to avoid potential disaster — Verboon says a higher level of financing is possible in extremis. In the end, Securities America put up a much larger loan to help the advisor swing the deal. The firm provides advisors with a practice listing site through its parent firm, which encompasses all retring advisors from Ladenberg Thalmann’s broker-dealer network. But the firm also assists its advisors making acqusitions affiliated with outside firms such as LPL, Commonwealth or Cambridge. “The asset transfer rate is never as great as in house. In house you just pull a switch and the assets are moved over,” Verboon says, boasting a 98% in-house client retention and asset transfer rate, though a still high 85% retention rate with external acquisitions.